If you're looking for a relaxing, romantic, and luxurious vacation, a stay in a log cabin hotel just might be the right choice for you. 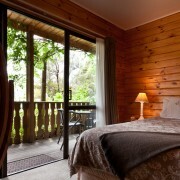 Read on to find out what makes log cabin hotels a great spot for your next holiday. Why stay at a log cabin hotel? 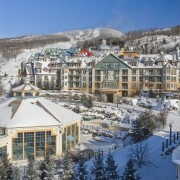 One of the most common locations for log cabin hotels is an alpine ski resort. It makes sense when you think about it. People want the cabin feel up North, but they don't necessarily want to skimp on the hotel-style amenities. 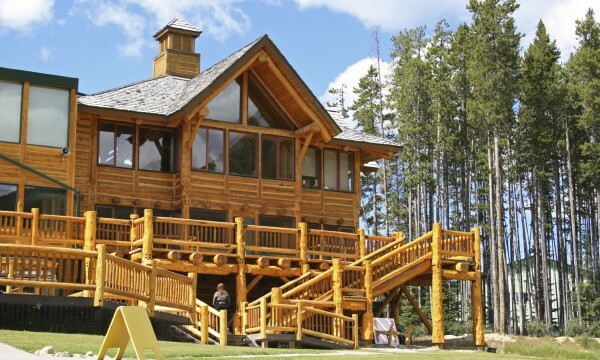 Log cabin type hotels have all the charm of a real log cabin and more. Nestled in remote regions like Whistler or the Swiss Alps, they have the cozy, rustic look and feel that will make your trip truly memorable. In many ways, they can be even more fantastical than staying in a traditional log cabin, as they're often very swanky, uniting the rural charm of the cabin with the luxury of a high end hotel. 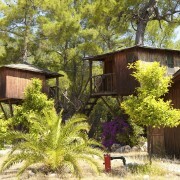 There are two main categories of log cabin hotels. There are hotels that rent out individual small log cabins and serve guests as a normal hotel would, with a large central structure containing the restaurant, concierge, bar and room service facilities. Then there are the gigantic singular hotels built in the same style as a log cabin, but with much larger materials, including antique materials. There's nothing quite like the feeling of walking into a gigantic log cabin in a ski villa, looking overhead and seeing wood that dates back many decades or even hundreds of years. Whether you opt for an old-fashioned style or a modern one, a log cabin hotel can offer up all the luxurious amenities you want, with the cozy feel of home. 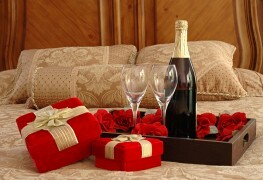 It's the ideal way to spend a romantic getaway or a relaxing weekend.